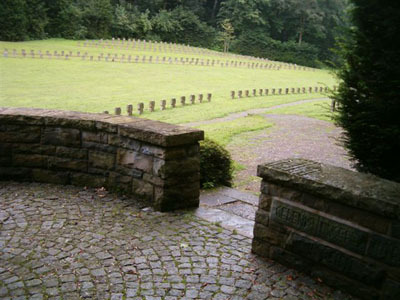 In total 472 German dead, of which 13 from the First World War and 469 from the Second World War, have been interred in this German cemetery. 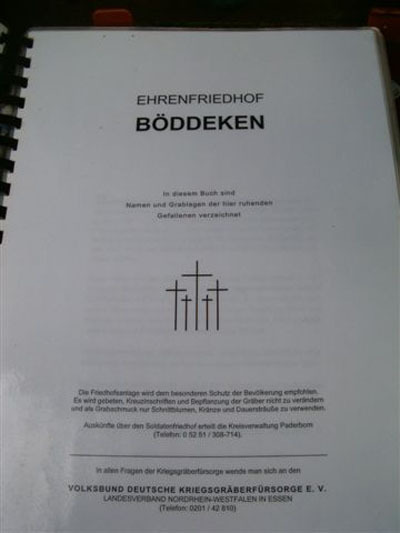 Of the dead 469 are from Germany and 3 are of Dutch origin. 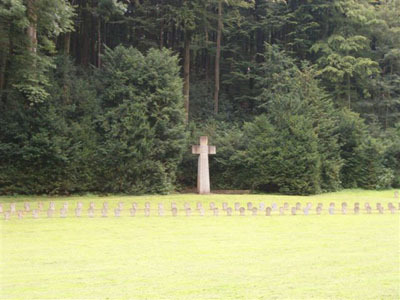 The piece of land where this cemetery has been established, has been donated to the Deutsche Volksbund Deutsche Kriegsgräber, of County Nordrhein Westfalen, in order to serve as a graveyard. The dead that have been laid to rest have been transferred from the various places where they had been buried alongside the road or in gardens and in the fields where they had fallen. In 1953 these tasks had been completed. 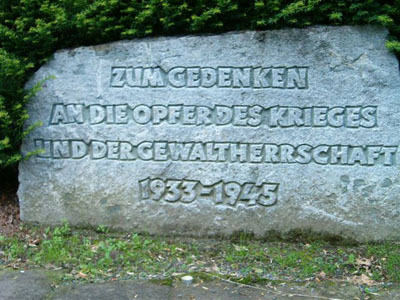 Text: Volksbund Deutsche Kriegsgräberfürsorgung e.V.